Some things are better left untouched and undisclosed until the right time comes along. Yeah, not in the case of fashion though. Not when we bring you the ultimate trend report on what style to wear in Spring 2017. 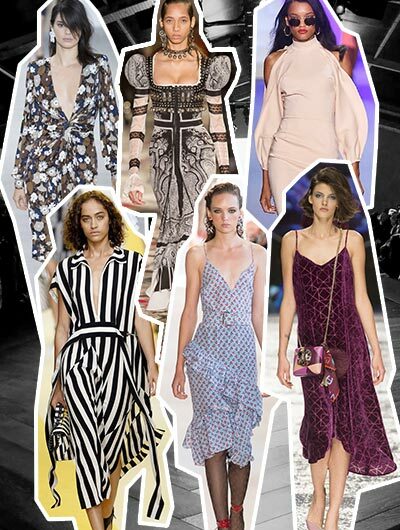 So, here’s a shout out to the trends, straight from the runway, that will take the world by storm this spring. Are you ready to sizzle? We are in a garden state of mind and nothing screams spring than a beautiful bouquet of fresh cut flowers. Romantic or conceptual, trendy, vintage or contemporary, let your closet bloom this season! While the 2017 runways from New York to London and Milan to Paris all brought something distinct, we’re breaking it all down to find the big common denominator and the one thing you should wear today. Stripes! Out with the off the shoulder, in with bell sleeves. It’s no secret that the style crowd loves to inject a little drama into their outfits, and the statement sleeve is the ideal way to do so. Nothing quite like starting off your week on a super stylish note, right? So why not frill it up a little with romantic ruffles ladies! The shoulder cut-out look is a great way of revealing some skin without showing too much. The style is flirty and flattering – what more do you want? Bare those shoulders ladies! Hot pink delivers a tropical punch to a color-starved wardrobe! As we capture a round-up of the SS2017 global catwalk shows, we cited the colour fuchsia as a key fashion shade in 2017.